Hohulin Fence has served all of Illinois for more than 120 years with superior craftsmanship and quality fencing products. One of our specialties is the chain link fence. This type of fence is very common, thanks to its affordability, versatility and durability. 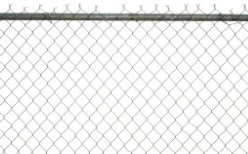 When you need a quality chain link fence in Springfield IL, choose the best in the business: Hohulin Fence. We are a family owned business and have been in this industry for well over 100 years. Founded in 1897 by Sam, Tim and John Hohulin, we were the first to commercially manufacture chain link fence fabric in the United States. Commercial chain link fencing is not only practical but economical as well for any business. 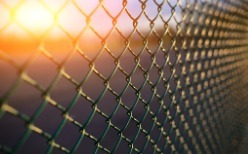 Whether you are planning to build a park, prison, batting cage or industrial plant enclosure, our high-quality commercial chain link fencing products will meet all of your fencing needs. We specialize in high-quality outfield fencing and athletic fencing solutions. It’s our goal to enhance the safety of players and onlookers during games or practices. If you are a homeowner, a chain link fence is a durable, traditional option that lasts for many years. We offer a variety of different colors, styles and grades that can be customized for your needs. Our options are available in galvanized, aluminized and vinyl coated, with all products being made here in the United States. To learn more about our chain link fences in Springfield, call us at 309-316-1008 or email us at info@hohulinfence.com. We are based at 116 S. Harrison Street in Goodfield, IL, serving all of Springfield and surrounding areas.